from the first half of 2014. As I explained back then, the second half was on its way at the end of the year - and now here it is! As with the first half of 2014, choosing which products to include in this post was pretty difficult, but I've managed to get there! Following on from the first "best of Birchbox" post, I have selected the samples as if they were in a Birchbox - six beauty samples and one lifestyle extra (admittedly the first post was five beauty samples, but this was a teeny bit harder so I went with six, which Birchbox do sometimes!). If you're not too sure what Birchbox is, then check out my 'Beauty Boxes' page for more information. So without further ado, here is my Best of Birchbox - Second Half of 2014 list! 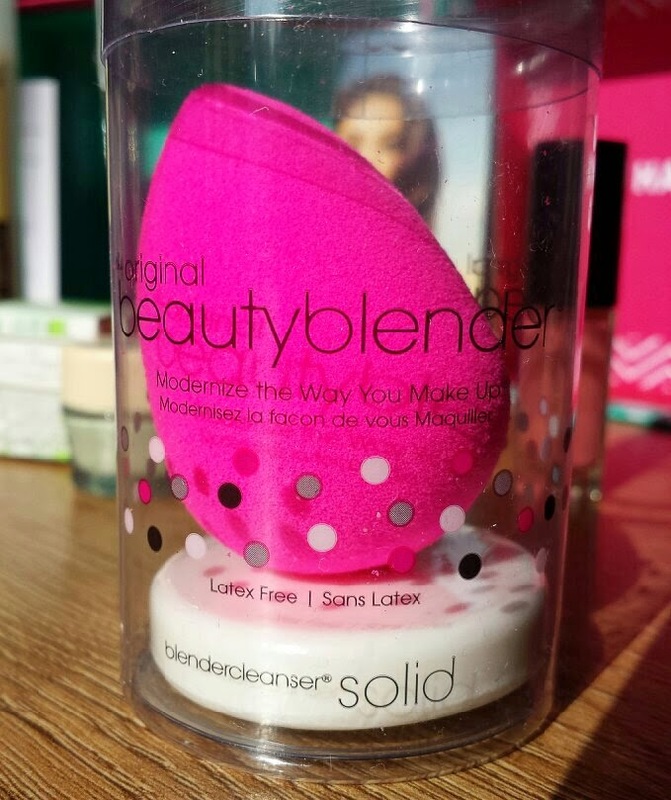 Recently just featured in my Top Beauty Products of 2014 post, the BeautyBlender was a definite inclusion here, too. I won’t launch into yet another explanation of how great the BeautyBlender is, so I will instead just direct you towards my BeautyBlender and BeautyCleanser Solid post for a more in depth review. You can purchase a BeautyBlender from £16 from Birchbox. 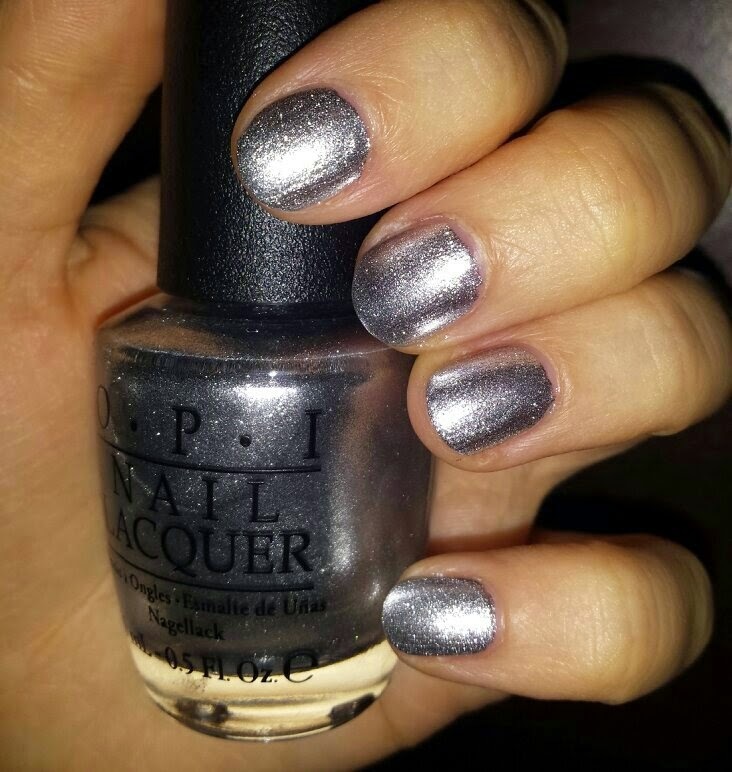 OPI’s Turn on the Haute Light is a silver nail polish (the shade of a Diet Coca-Cola can) from OPI's Coca-Cola collection. It is free of toluene, formaldehyde and DBP. Turn on the Haute Light is highly-pigmented and long-lasting. It is a dream to apply, too. I also managed to get away with one coat without any noticeable patches. Most importantly though, let’s not neglect to discuss how beautiful the shade is once on the nails! Whilst this polish just narrowly missed being included in my Top Beauty Products of 2014 post, there was no chance it was missing it's spot here. You can purchase OPI’s Turn on the Haute Light for £11.95 from Birchbox. The Weleda Millet Nourishing Shampoo is an award-winning, natural shampoo for normal hair that contains organic millet husks and organic macadamia oil to cleanse the hair gently whilst retaining it’s natural shine. When I first received this shampoo I was still “no-poo” Recently though I have had to convert to “low-poo” due to hard water related issues. When I did so, one of the first things that I did was to finally try out what was left of my Weleda Millet Nourishing Shampoo sample that I had originally passed on to my sister to test. It's quite bizarre looking back now at my July Birchbox post and reading what my sister had to say about this shampoo. She totally hated it! If you have checked out my post about the Weleda Millet Nourishing Shampoo you will see that my opinion is completely different. Whilst it may split opinion, the Weleda Millet Nourishing Shampoo fully deserves its place on this list in my opinion. It's a fantastic shampoo that leaves the hair soft and smooth and that can be used guilt free thanks to it being natural and free of harsh chemicals. 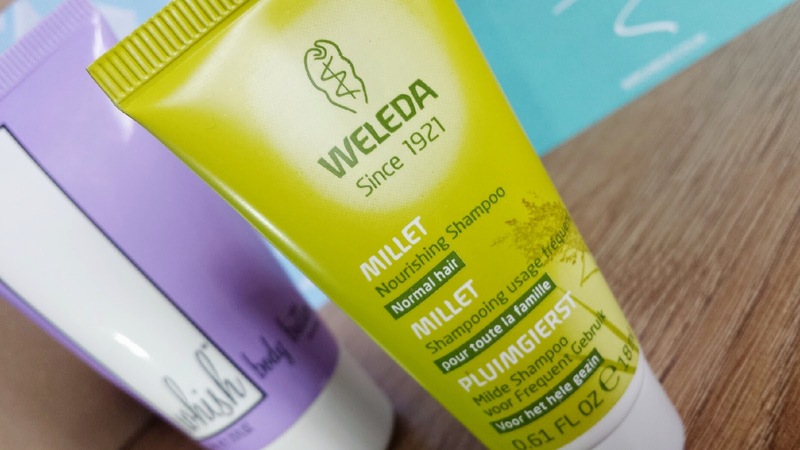 You can purchase a full-size, 190ml bottle of Weleda Millet Nourishing Shampoo for £8.95 from Birchbox. 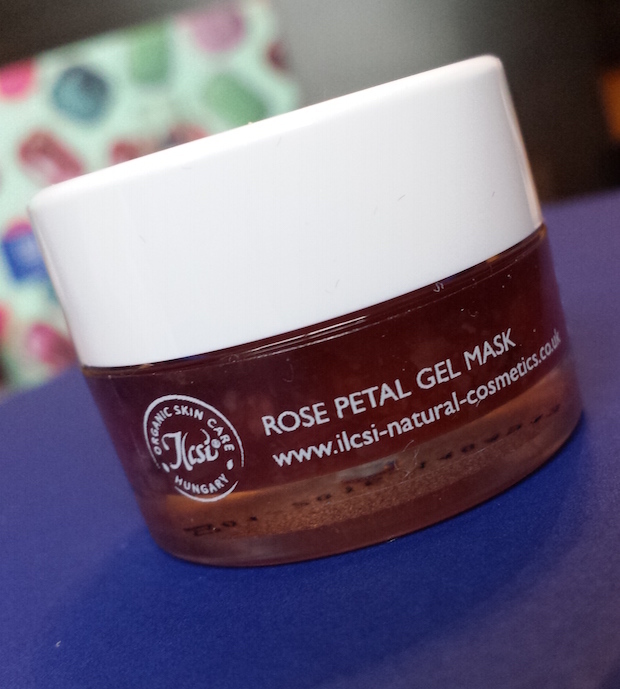 The Ilcsi Rose Petal Gel Mask is a natural face mask that contains rose petals and rose oil. It is designed to help with large pores, dehydrated skin, wrinkles and redness whilst also brightening, toning, tightening, smoothing, nourishing and regenerating the skin. Birchbox have let us sample a variety of face masks over the year, but from the second half of 2014, this is my favourite. If you are a regular reader, you may be aware that I recently have been having issues with perioral dermatitis. This face mask has been helping me with it. Even after just one application, my perioral dermatitis was less dry and more comfortable. It also eased the redness and helped with healing. You can use it in two ways; you can apply it in a thin layer over night, or you can apply a medium-thick layer, wait until it dries and then remove. It sort of has the texture and look of jam, so as I explained in my December Birchbox post, it does feel a bit like you’re smearing jam all over your face. However, the results are brilliant, so I had to include it on this list. You can purchase a full-size, 50ml pot of Ilcsi Rose Petal Gel Mask for £39.95 from Birchbox. The Number 4 Haircare Super Comb Prep & Protect Spray is a detangling, leave in conditioner that also provides UV and colour protection and lots of nourishment for the hair. It is free of SLS and parabens. It is also 100% vegan and is gluten and sodium chloride free. This is a product that has grown on me over time. Whilst I liked it when I first tested it, over time I began to love it. It’s a hard thing to try to explain, but my love for it sort of snuck up on me. It’s a brilliant product that leaves the hair soft and strong and really helps with detangling. If you have trouble with knotty hair or are just looking for a nourishing, protecting spray, this could also become a love of yours, too! You can purchase a full-size, 200ml bottle of Number 4 Haircare Super Comb Prep & Protect Spray for £20 from Birchbox. 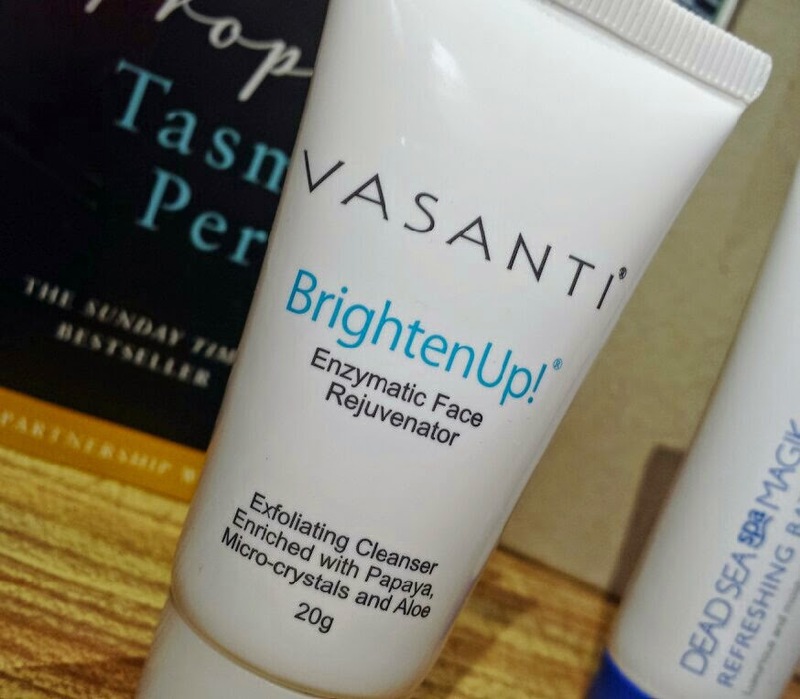 Vasanti’s Brighten Up is an exfoliating cleanser. It includes dermatologist-grade Microderm Crystals to exfoliate away dead skin and papaya enzymes to help break down dead skin cells. It also contains aloe vera and coconut oil alongside a mild cleanser to clear away dirt. Until I broke out with my current case of perioral dermatitis, I was using this cleanser a couple of times a week. It’s a great exfoliator that really helps to reveal the best of your skin, leaving it smooth and bright. The skin doesn’t feel over-exfoliated and doesn’t get irritated and due to only needing a small, pea-sized amount each use it lasts a very long time. 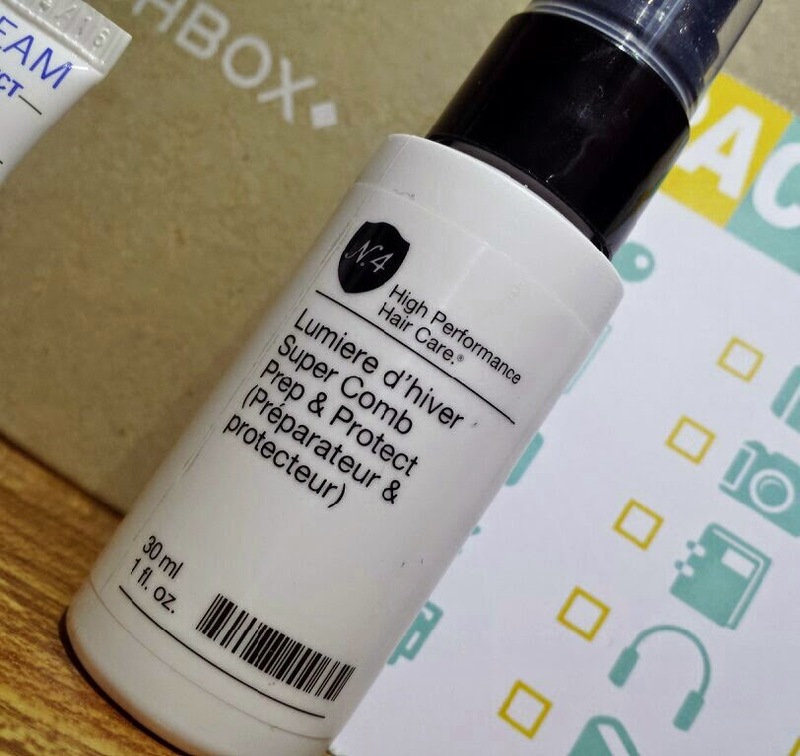 You can purchase a full-size, 120ml bottle of Vasanti Brighten Up for £26 from Birchbox. 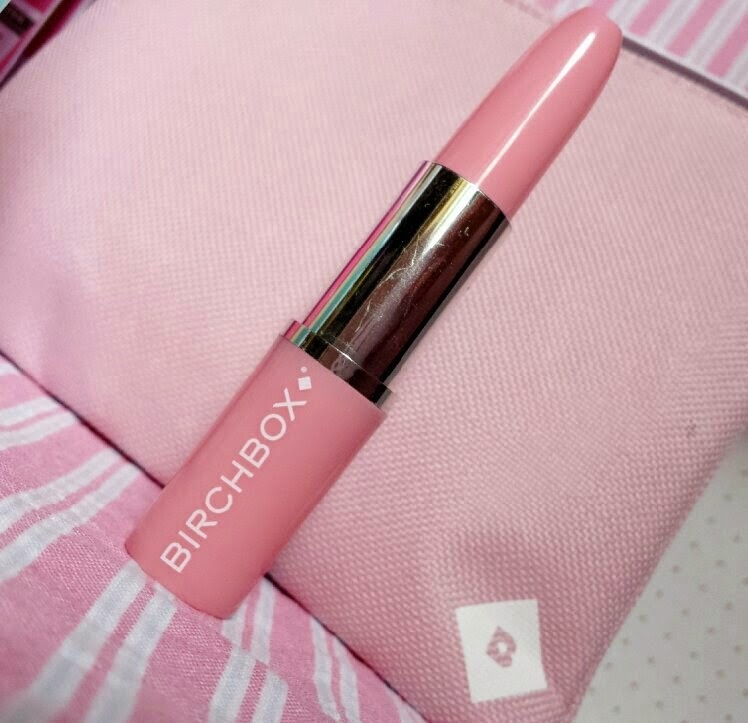 There have been some nice lifestyle extras provided with the boxes from the second half of 2014, but I decided to choose the one that I have truly gotten the most use out of: the Birchbox Lipstick Pen. Handy to have around and looks pretty funky as well, the Lipstick Pen has been having a full on workout since it arrived in my October box. You can purchase your own Birchbox Lipstick Pen along with the Birchbox Pouch for £7.50 from Birchbox. What Birchbox samples do you think have been the best over the last six months?